French dressing was the first salad dressing I ate as a child. And I only ate it on alfalfa sprouts (I know, pretty weird). Lately, I feel like I never see French dressing anymore. But I just had to make a batch when I found a recipe for it handwritten by my mom and taped inside an old cookbook that used to belong to my grandmother. My mom's recipe makes a good-size batch that you could refrigerate and use for several salads. I've scaled the recipe down for a single bowl of salad for two or three people and made a few substitutions. French dressing is great because it has a real zip to it. I love it with crunchy vegetables like radishes. 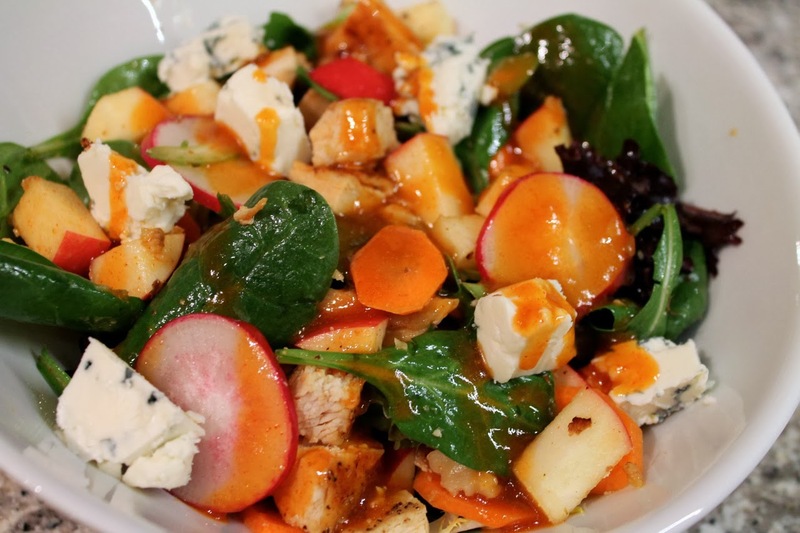 I served it over a salad of mesclun, spinach, carrots, radishes, chicken and blue cheese chunks. 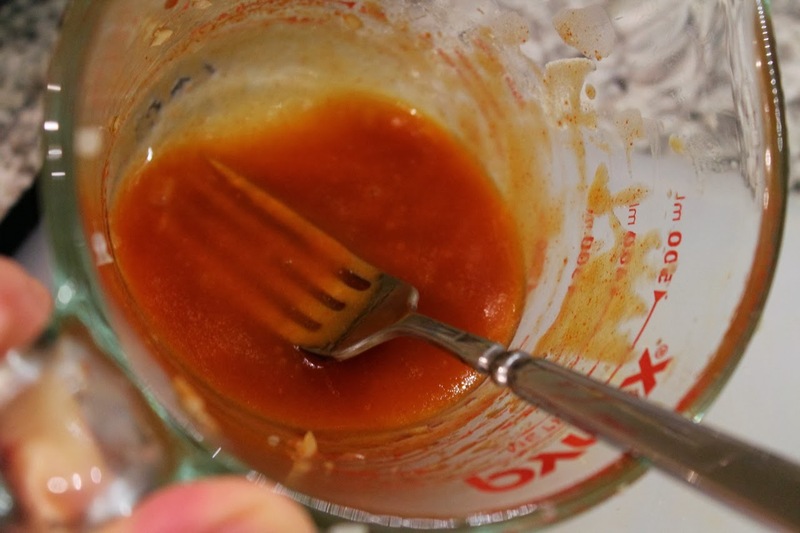 Combine all ingredients in a small bowl and whisk vigorously until emulsified. French dressing DOES feel really old-fashioned, doesn't it? Your version was pretty darn good.